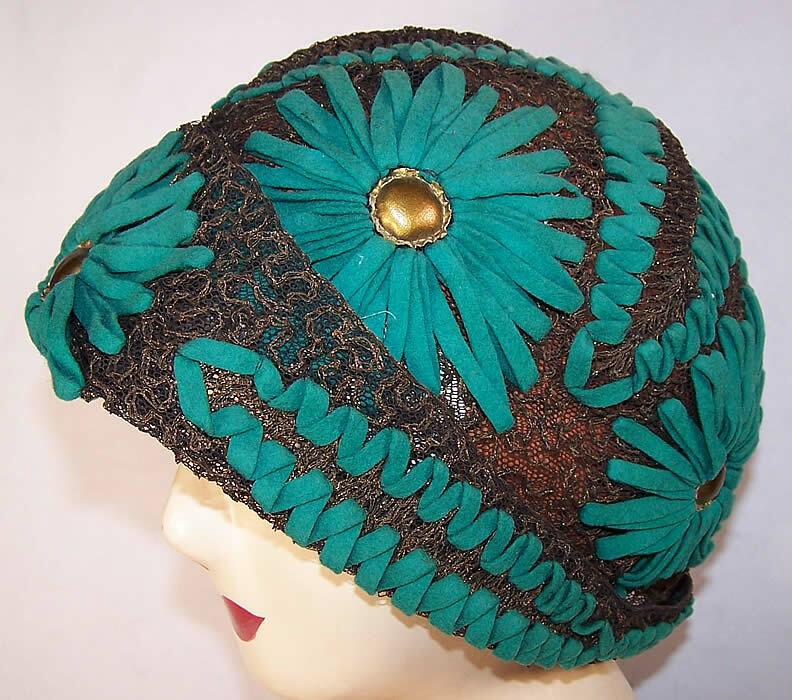 This vintage Art Deco teal felt embroidered gold lace flapper cloche hat dates from the roaring 1920s. 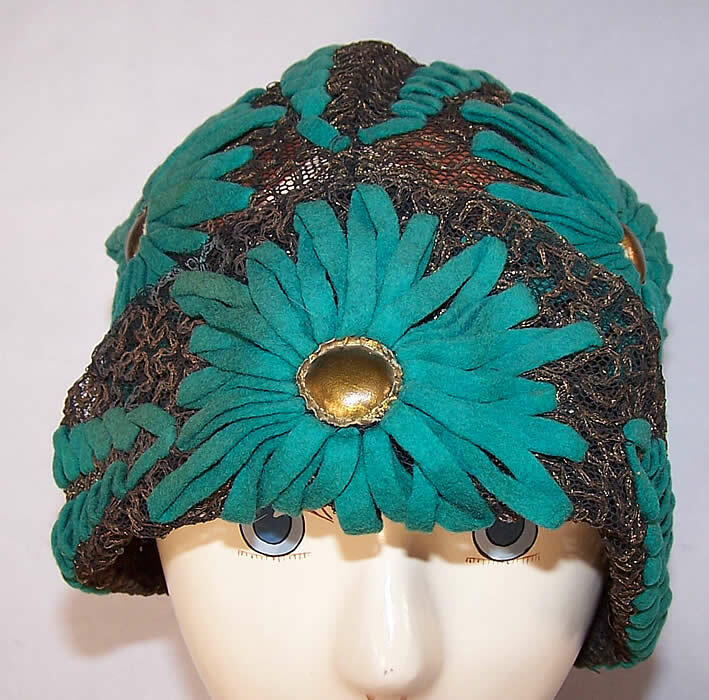 The hat is made of a sheer gold metallic lace net stitched fabric base, with a blue green teal color felt done in a decorative embroidered stitch floral daisy design with gold leather padded centers. 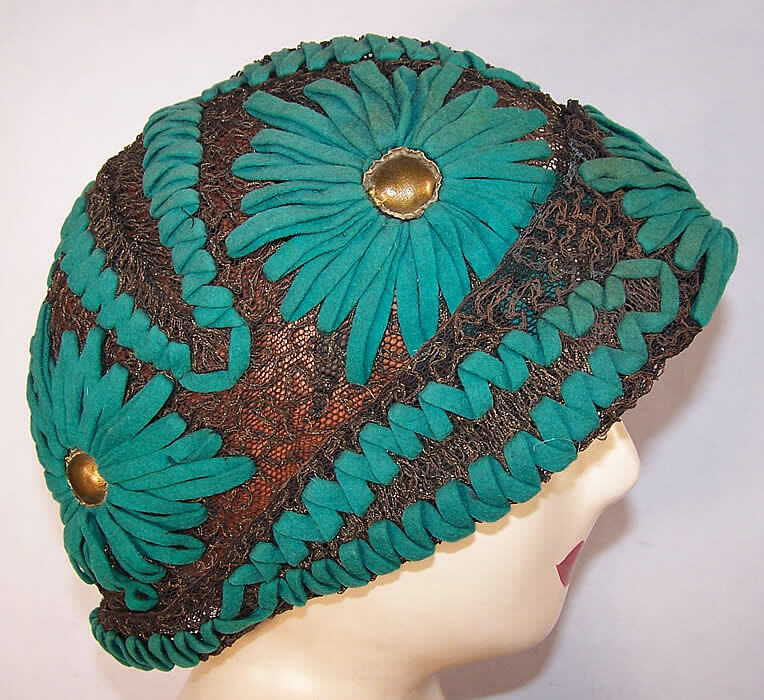 This fabulous form fitting flapper cloche hat has a rolled brim front and is sheer unlined inside. 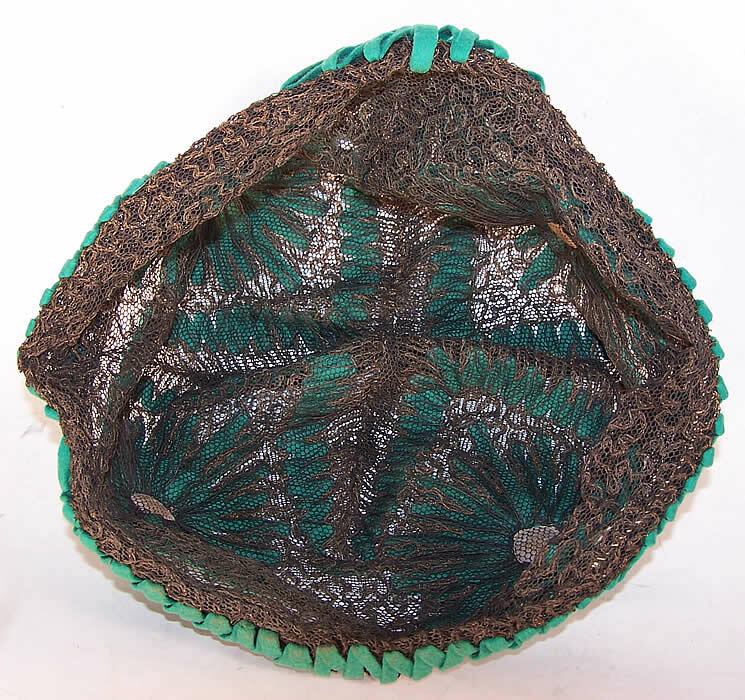 The hat is a large size, with some stretch in the net fabric measuring up to 26 inches inside circumference. It is in excellent wearable condition and is a wonderful piece of wearable Art Deco textile art. 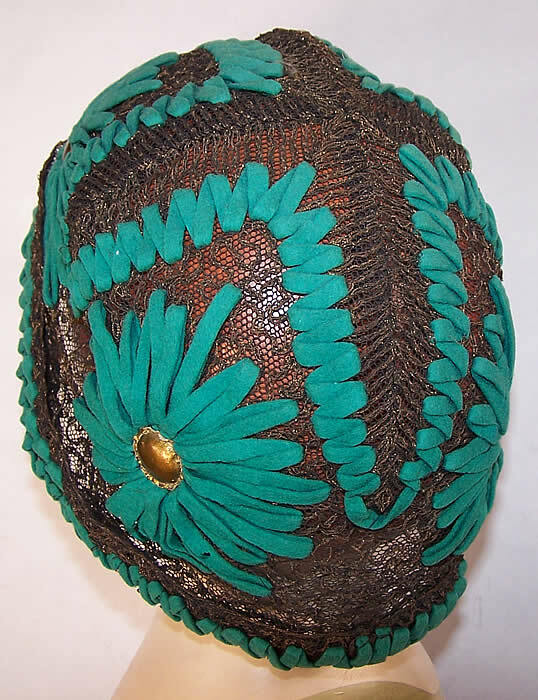 Buyer pays $10.00 shipping, handling and insurance, USA orders only. Money orders ship immediately & checks have a 7 day hold. Worry free three day money back guarantee. All payment must be in U.S. Dollars.